Most car owners think that rust proofing is only necessary in the winter months. This is not true. In fact, rust can form on your vehicle anytime the temperature is above zero degrees Celsius. Optimal conditions for rust and corrosion to develop is in hot and humid temperatures. When the weather is humid, it acts like a trigger to activate any salt that may be stuck in the cracks and crevasses of your vehicle. Once the corrosion process has begun, high temperatures cause that corrosion to spread more quickly. If this process is not stopped, rust and corrosion will continue to eat away at your car. The longer you let it go, the more damage it will do. Salt is not the only culprit that generates rust on your automobile. Anything that holds moisture and sticks to your car is a potential agent. For example, let’s say you like to take your vehicle off-roading in the summer. Clumps of mud will likely be attached to the bottom of your vehicle after such an excursion. These clusters of mud hold moisture that can damage the undercarriage of your vehicle in the form of rust and corrosion. How can you protect your vehicle from rust and corrosion? There are several steps you can take to safeguard your automobile against the caustic and corrosive properties of rust. The most effective way to protect your vehicle from rust is by having rust proofing services performed by an automotive professional on a regular basis. Valvoline Express Care Brampton has been providing exceptional rust proofing services at affordable prices for over 20 years. Their rust proofing specialists combine experience and knowledge, while using only the best rust proofing products and technology. Valvoline’s rust proof services focus on treating and minimizing existing rust damage, while taking measures to prevent future corrosion. Another good habit to get into to protect your vehicle from corrosion is to keep it as dry as possible. Park it in a garage when possible, and if that is not an option try to find a dry place to keep it. 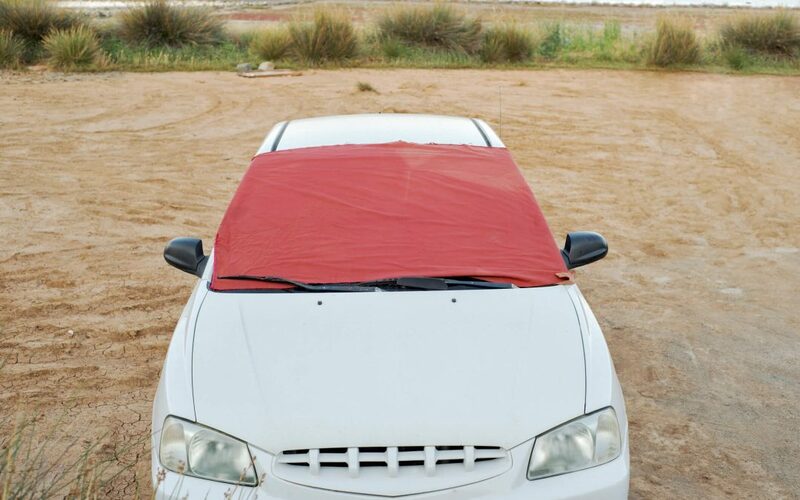 Covering your vehicle in the rain and winter months is another alternative. Try to keep your gas tank as full as possible. An empty gas tank produces more condensation which can end up rusting the engine and other areas inside the vehicle. After a rust coating has been applied to the undercarriage of your vehicle, you should be diligent about keeping those areas clean. Make sure there is no build up of mud, salt, or other caustic substances that can cause rust and corrosion. These types of materials tend to collect in the wheel wells and underneath the car because they are difficult to see and reach. Taking the time to check these areas regularly can really help protect against rust.